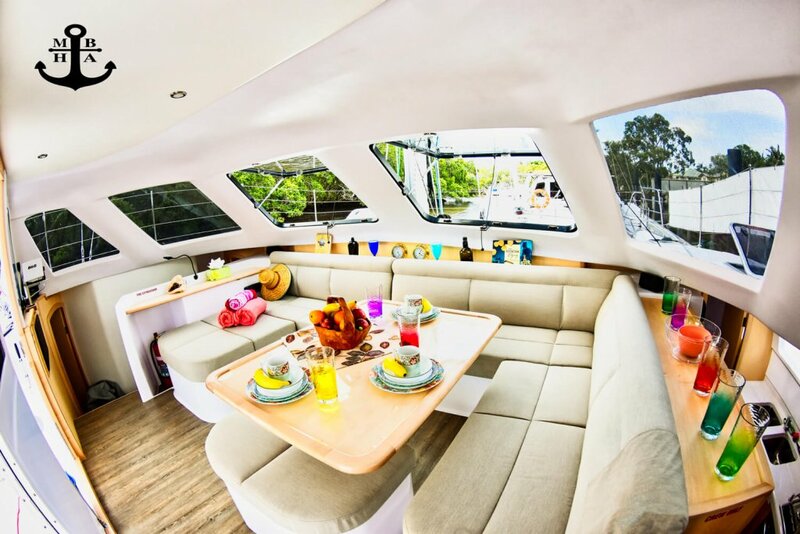 Moreton Magic is launched with 4 Cabins & a Convertible Saloon. 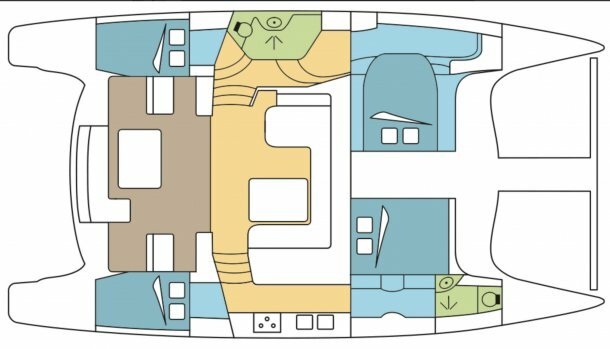 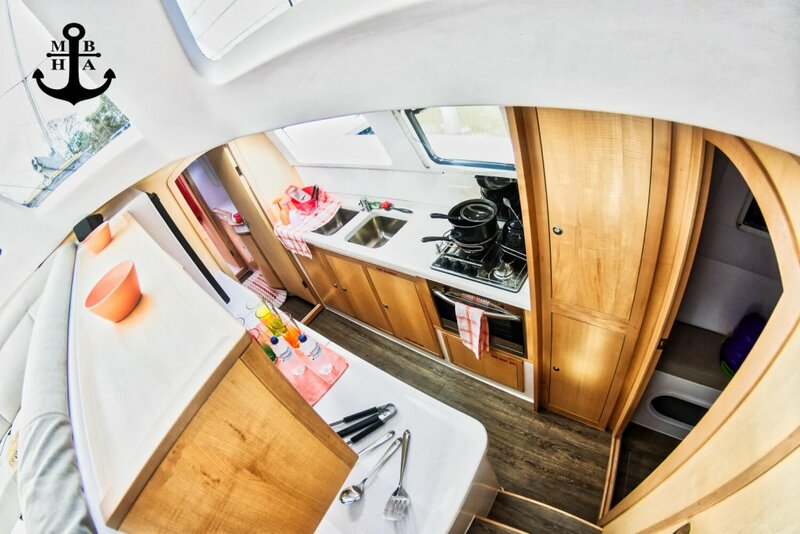 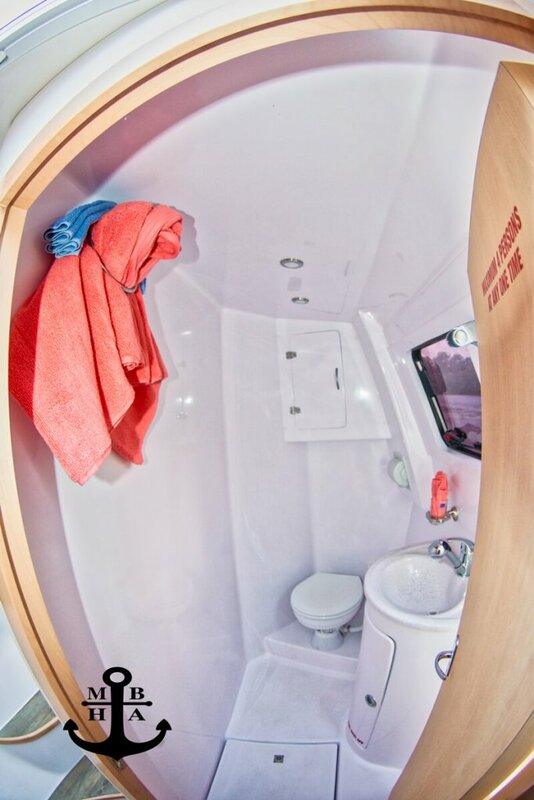 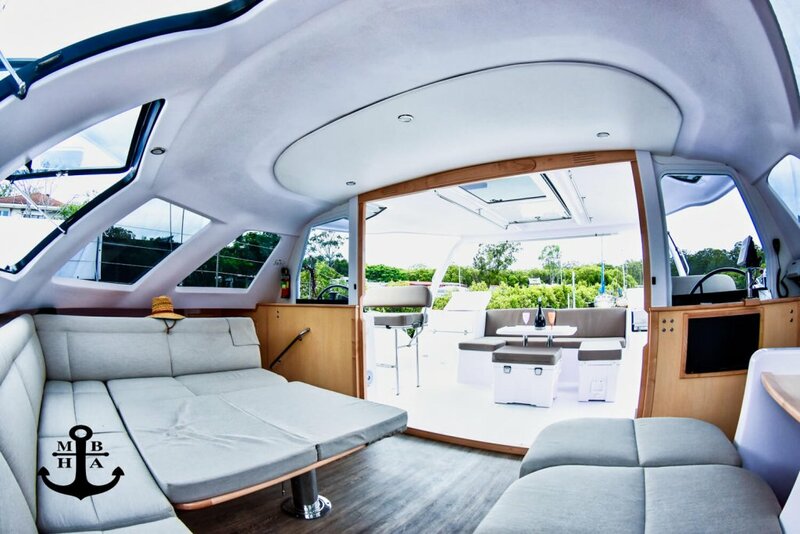 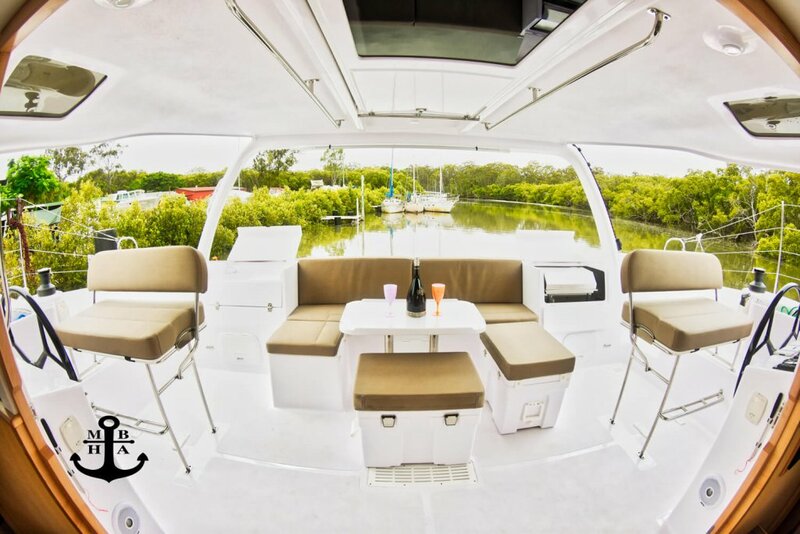 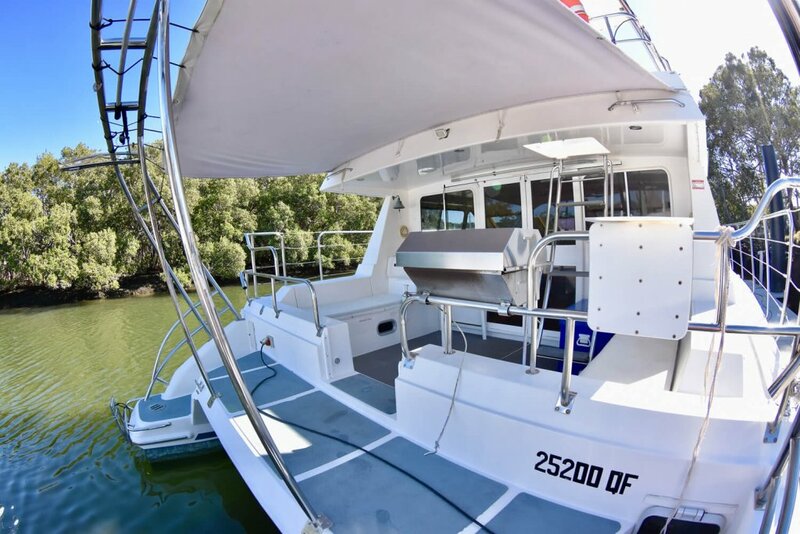 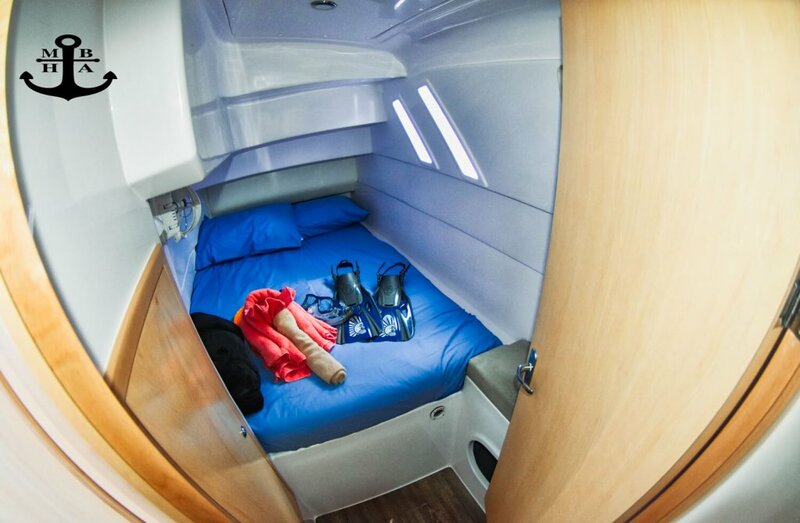 The Australian indoor/outdoor, open lifestyle is entrenched in this new design, with an unbeatable living area complimented with brilliant natural ventilation, protected cockpit lounge, and social helm seats putting the skipper in control as well as in the conversation. 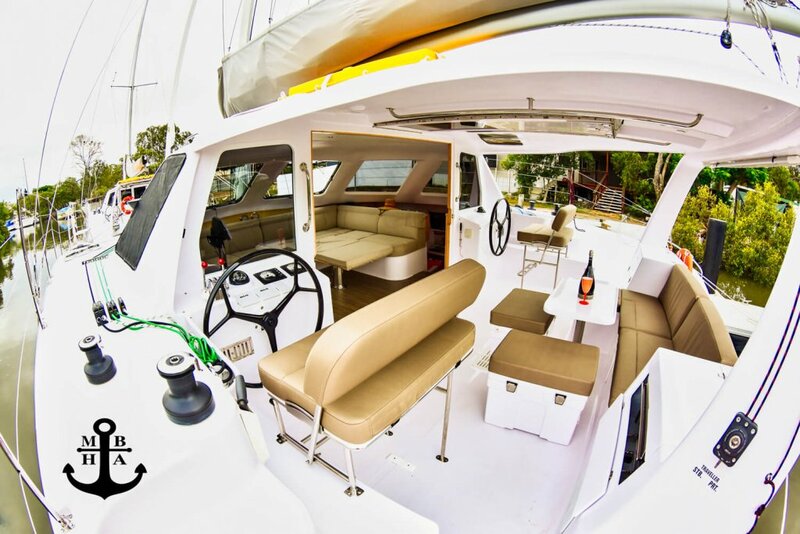 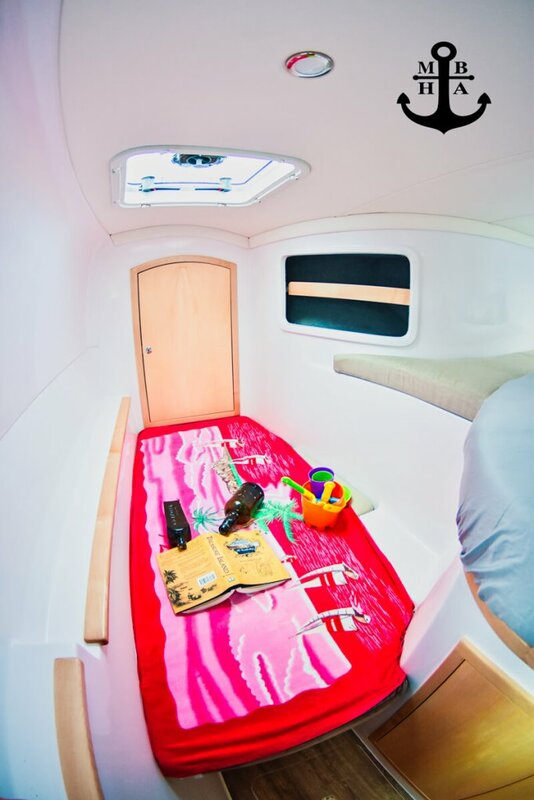 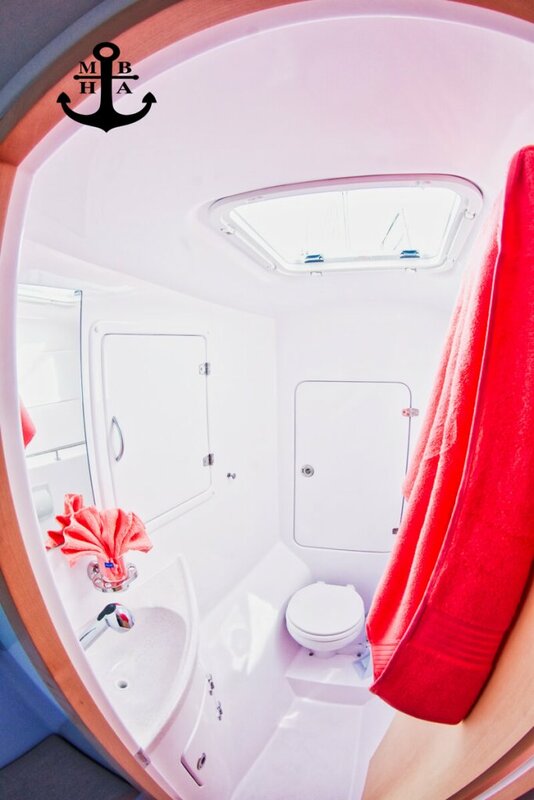 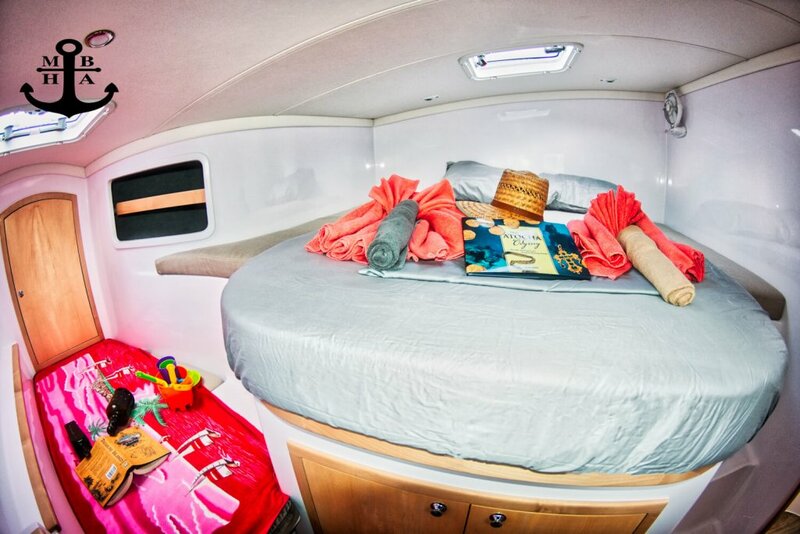 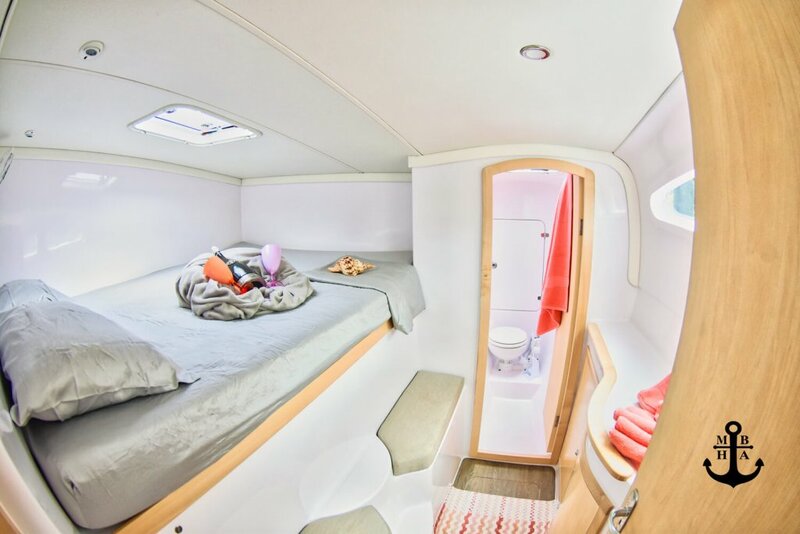 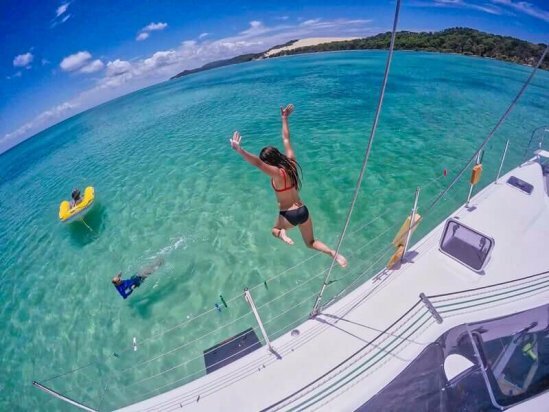 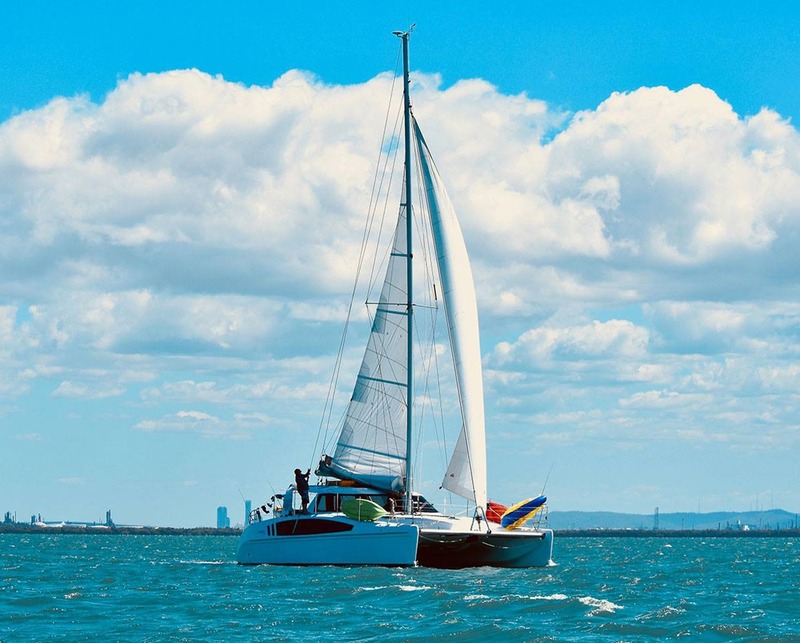 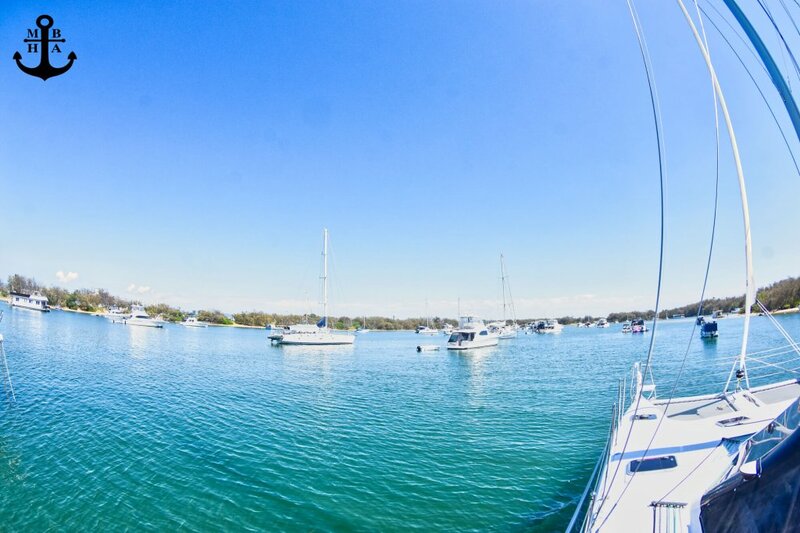 Best of all, you can enjoy what many cats compromise on …… “visibility”‘ for the skipper AND crew, with 360 degree views from the helm and saloon seats all within the protection of the fiberglass coach house and targa roof. 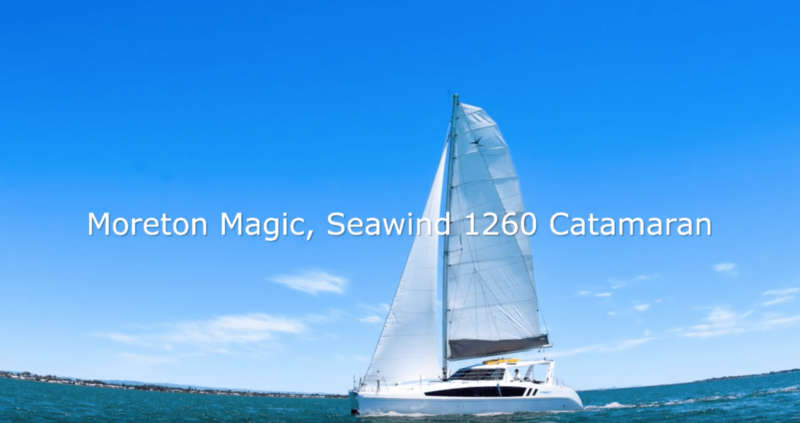 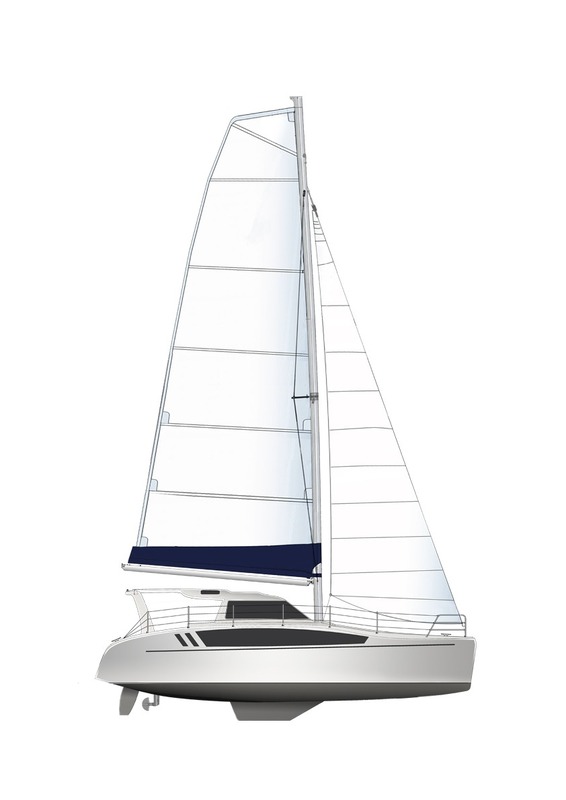 Twin helm positions are a must have for any true sailor, the Seawind 1260 offers the perfect balance between excellent 360 degree visibility and total protection from the weather in any conditions, whilst always offering the skipper full control and comfortable navigation around the cockpit. 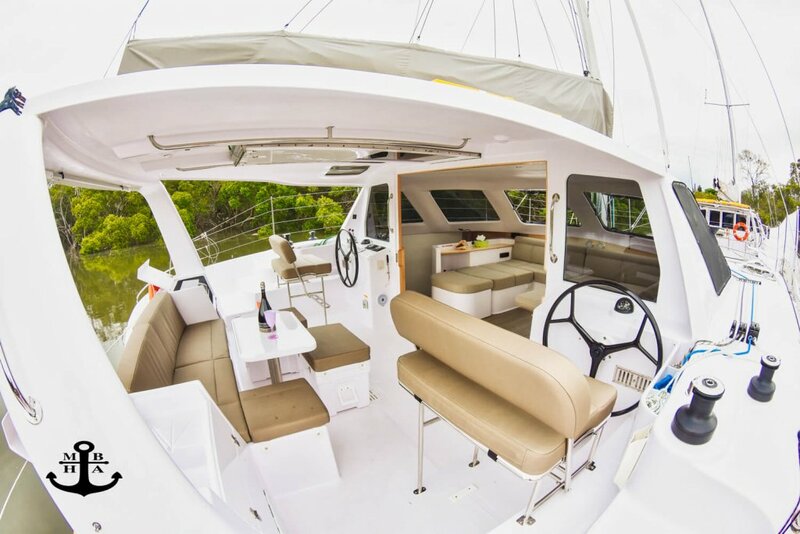 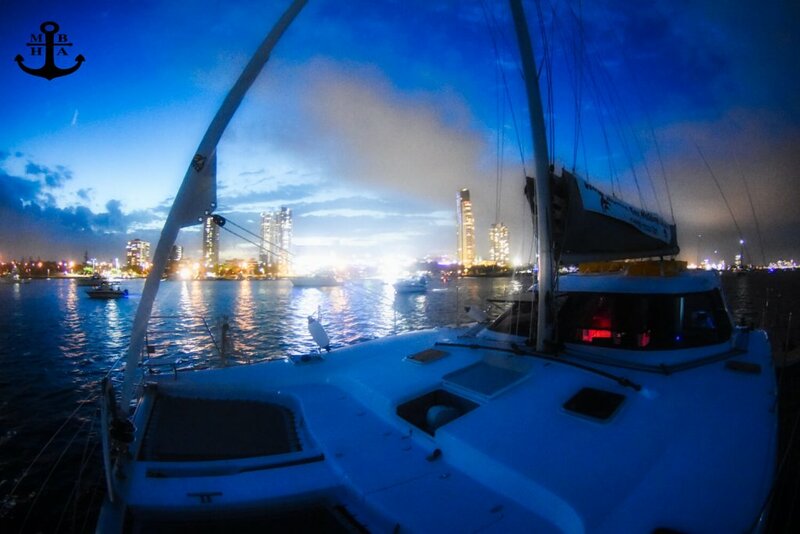 ALL controls are at your fingertips and use Seawind’s refined short handed sailing optimization system to provide ultimate control from the helm, avoiding the need to go forward for virtually any task! 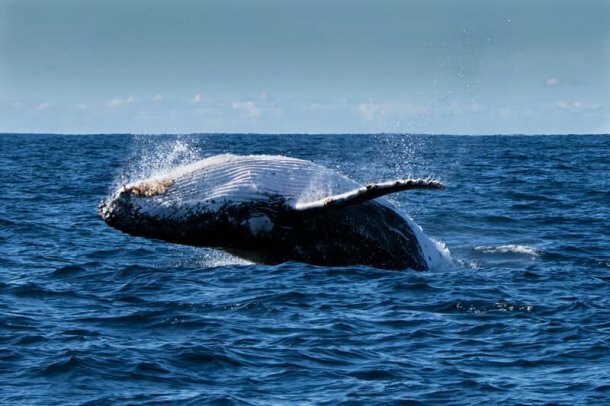 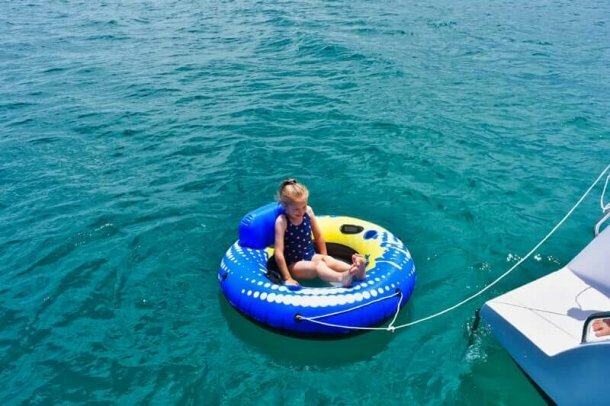 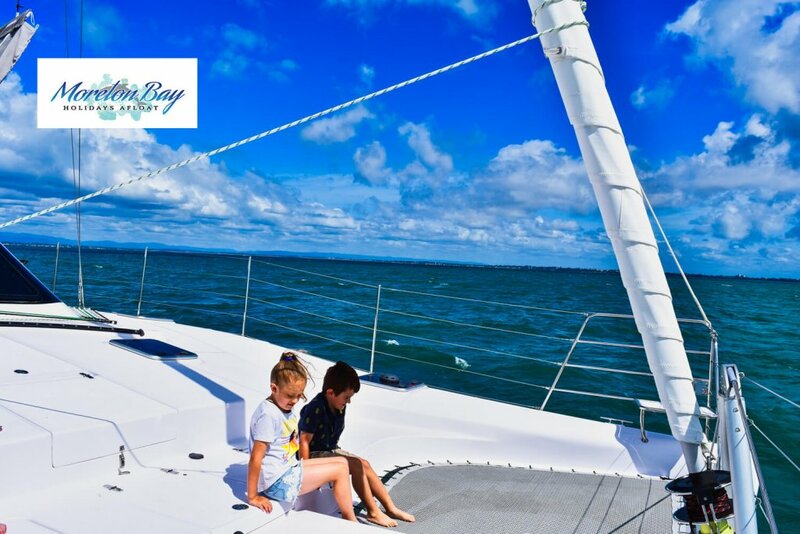 When attempting long ocean passages with friends and family, this type of safety and design practicality gives owners confidence not only in their boats ability but also for the safety of themselves and their family. 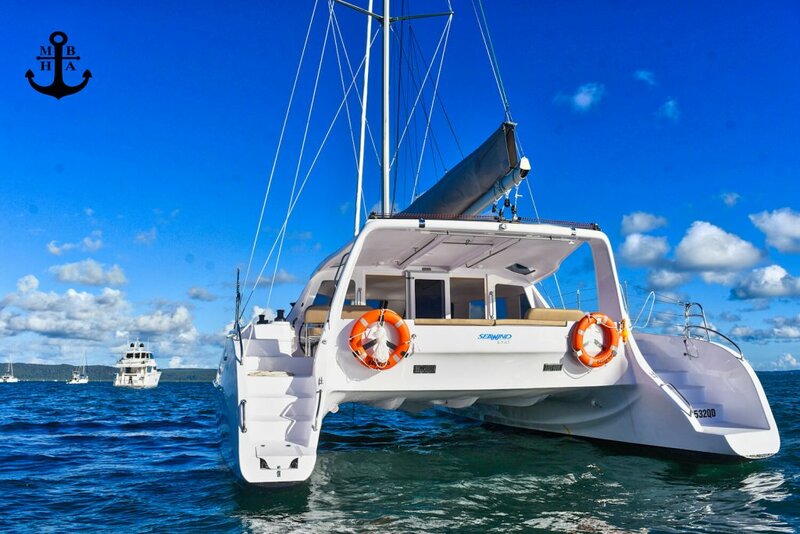 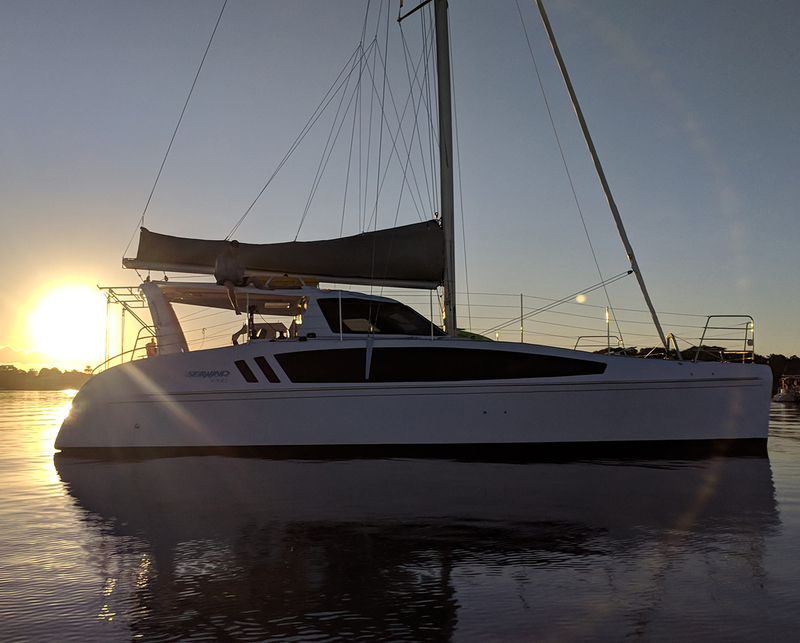 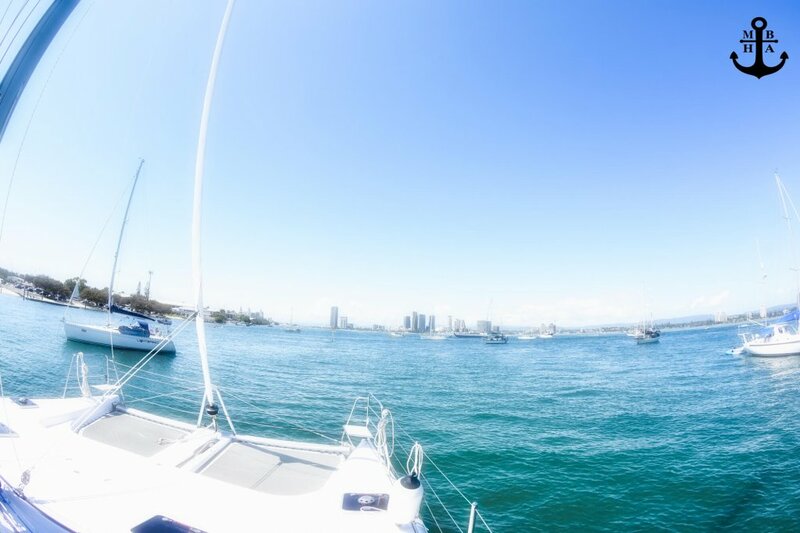 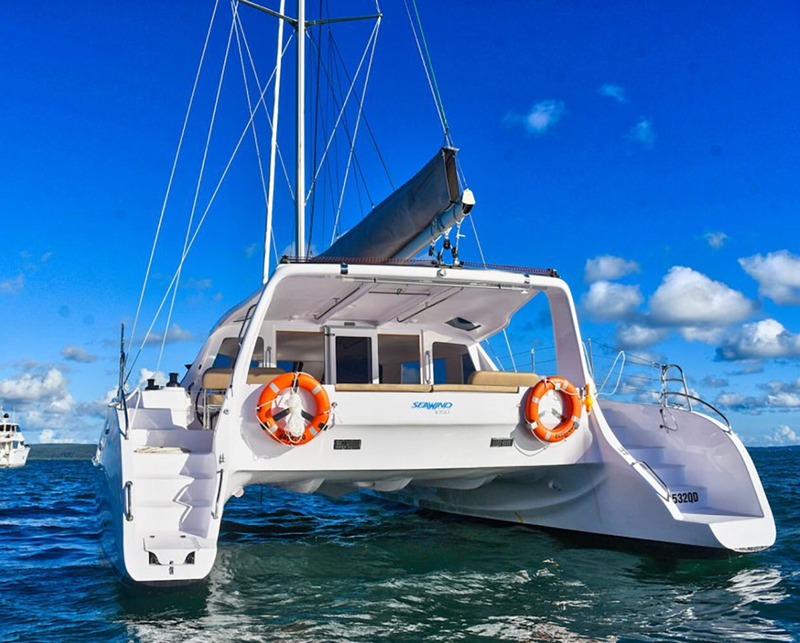 This boat makes a great power catamaran if you choose not to sail, having two fuel efficient diesel motors.